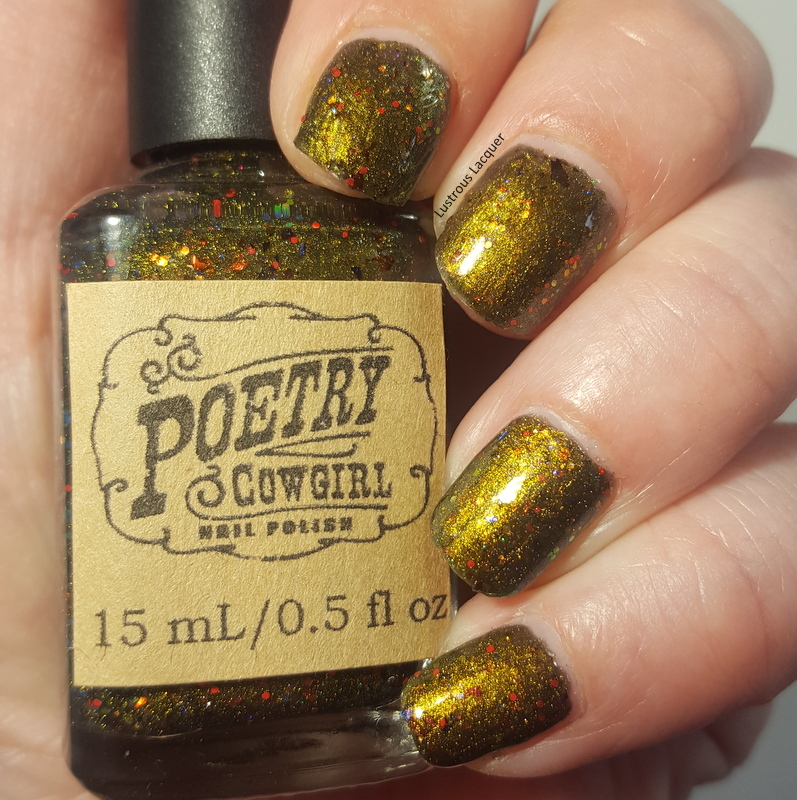 Today I'm bringing you all sorts of shifty, flakie goodness with Sparrow from the Limited Edition Johnny collection by Poetry Cowgirl. This collection consists of 4 polishes based off of characters played by the man himself Mr. Johnny Depp. As I write this post the collection is still available for purchase but for the last time. It will not be restocked again so get it while you can! 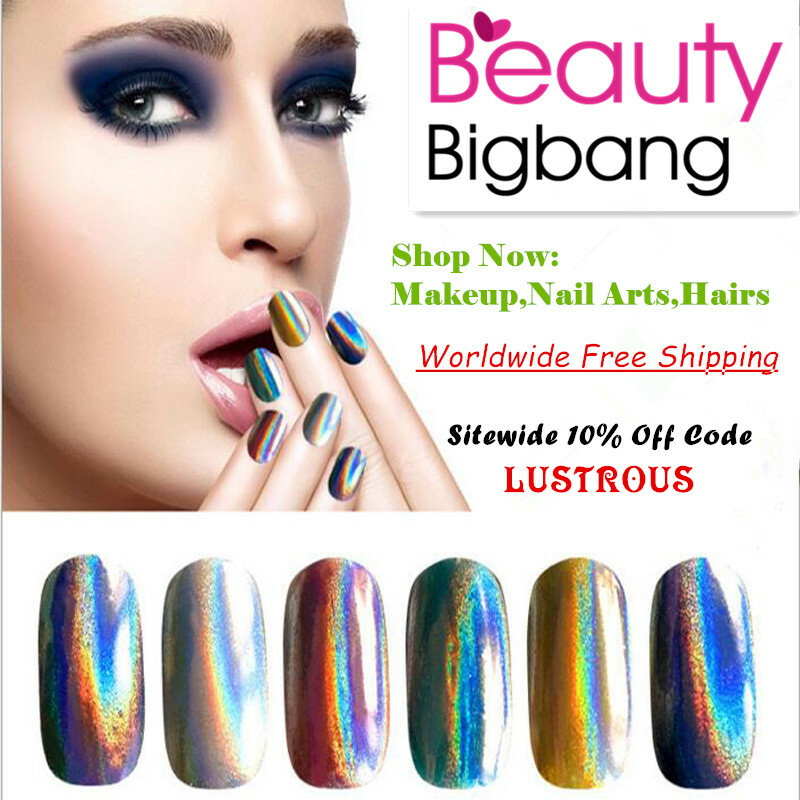 Sparrow is described as a blackened Green-Yellow-Gold Multichrome polish with iridescent chameleon glitters, matte hot orange glitters, silver holo micro glitters, Purple-Red UCC Flakies, and Red-Orange-Gold UCC Flakies. 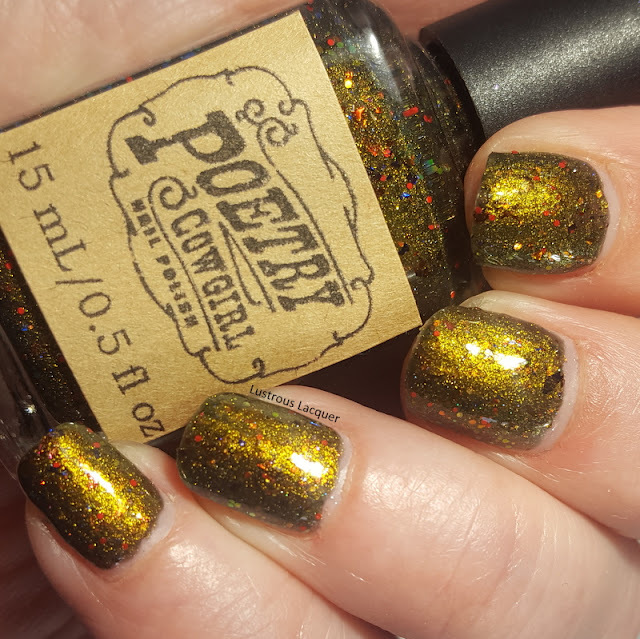 What I saw in the bottle is an army green micro glitter base with duo-chrome glitters and multichrome flakes. I like the maker's description better, don't you? The application process was easy with the polish flowing easily onto the nail. Although sheer on the first thin coat, Sparrow builds up nicely to a full opacity after a second mediumly applied coat. 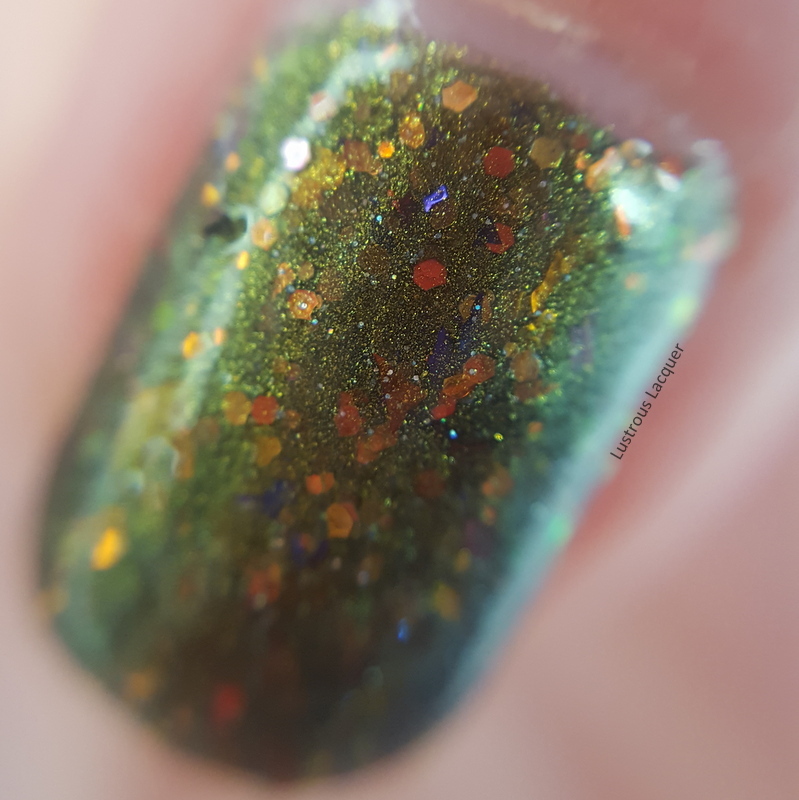 There are a ton of glitters and flakies no matter the thickness of your application which adds a liveliness to this polish that I absolutely adore. The polish does dry with a slight texture but that is easily smoothed out with the addition of top coat. My photos are shown as two coats plus glossy top coat. While I am a self-admitted pink nail polish lover there's just something about these pretty/ugly colors that I can't get enough of. I like them on both long and short nails and no matter the season. The four colors in the collection are Sparrow, Wonka, Sweeny, and Hatter. 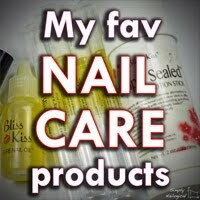 The full collection costs $45 or you can purchase each polish separately for $12. Each color is as unique as the character it was inspired by. Like I said this is the last restock, so grab them while you can. Thanks for stopping by Happy Polishing!